Hong Kong Airlines has partnered with world’s largest travel media company Ink to launch +852, its new inflight magazine. Aptly named after Hong Kong’s international calling code, +852 is truly Hong Kong and exudes the dynamic energy of Hong Kong Airlines and its home city. The bold and graphic look of +852 was also inspired by Hong Kong’s strong art and design culture, making this magazine unique amongst other inflight titles. +852 opens with a more lifestyle editorial outlook. 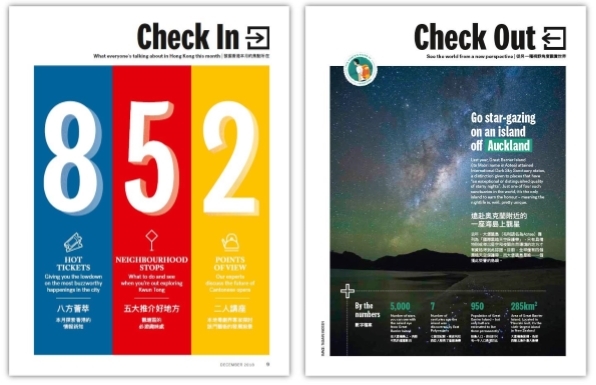 The “Check In” section is dedicated exclusively to showcasing “Truly Hong Kong” content, highlighting “8” new happenings in the city, “5” spots in a featured neighbourhood, and “2” points of views on a local topic. Each month’s “Check Out” section will feature destinations in Hong Kong Airlines’ network. Writers are sent all around the world to embark on a voyage of discovery – exploring, meeting people and unearthing the best kept secrets about the destination. 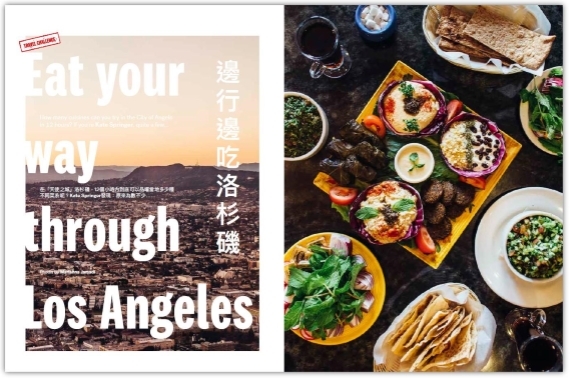 Writers may eat their way through Los Angeles, take an extended digital detox in Bali, or enjoy a holiday in the Maldives while leaving only a minimal carbon footprint. Meanwhile, “Out of Office” spotlights trends and talking points for business travellers. Passengers can also stay connected to the developments and services offerings at Hong Kong Airlines in “Going Beyond”. +852 is also available online at 852mag.com. 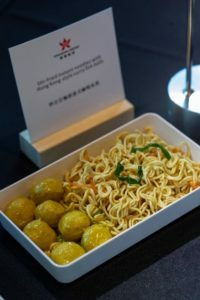 As part of the airline’s commitment to deliver more “Truly Hong Kong” elements in its products and services, Hong Kong Airlines will be introducing local favourites in its Economy Class meals on all flights departing from Hong Kong. A range of signature Hong Kong dishes will be rolled out, including stir-fried instant noodles with Hong Kong-style curry fish balls and stir-fried beef, tomato and scrambled egg and with steamed vegetable rice”, which are easily found in many local restaurants. Mr Chris Birt, Hong Kong Airlines Deputy Director of Service Delivery said: “Food transcends cultural boundaries and resonates with everyone. These dishes are Hong Kong favourites and we are excited to bring the taste of our city on board Hong Kong Airlines flights. We believe that Hong Kong based customers will enjoy our new range of familiar dishes. At the same time, we can’t wait to introduce our overseas customers to these local-style delights to help them explore the diversity of Hong Kong’s food culture.” Hong Kong Airlines’ new Economy Class menus featuring local dishes for breakfast, lunch and dinner will be available on all flights departing from Hong Kong (excluding ultra-shorthaul flights) starting 6 December 2018.